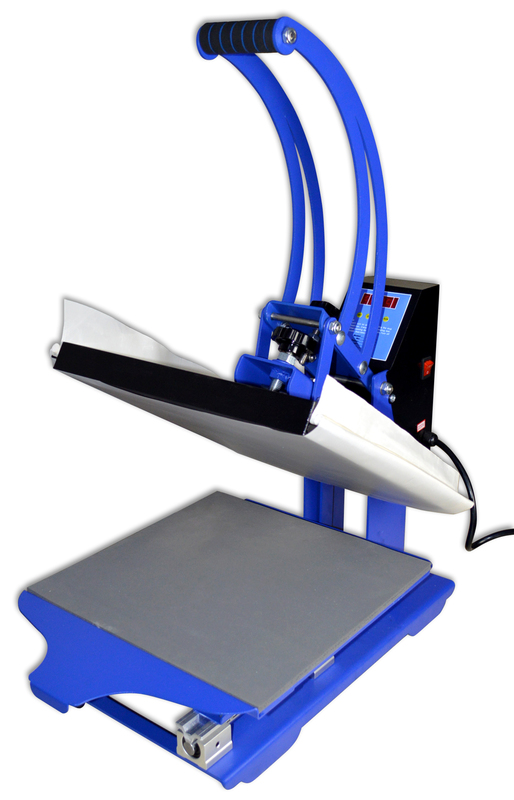 Heat press machine (the heat press area is 38cm*38cm) is heating equipment that is specially used for the printing pictures and patterns on textiles. 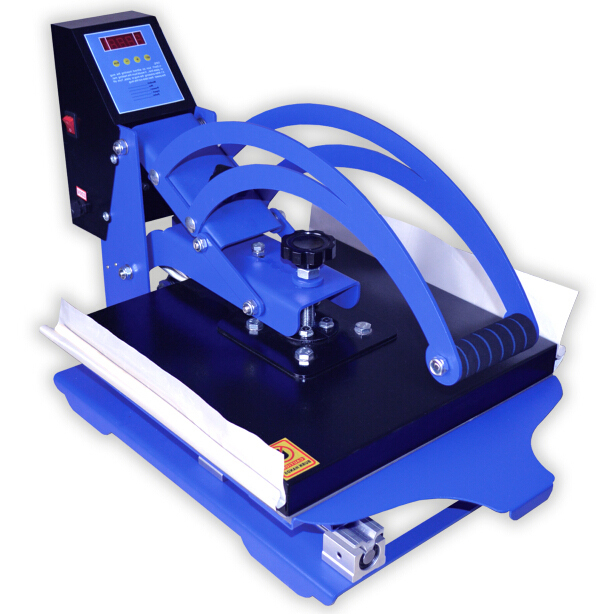 The heat press machine produced by our company adopts Canadian ASC intelligent time temperature instrument, operating is simpler, using is more convenient, in recent years it has been exported to the United States, Australia and Japan, and it is completely according to quality requirements of the American heat press machine. 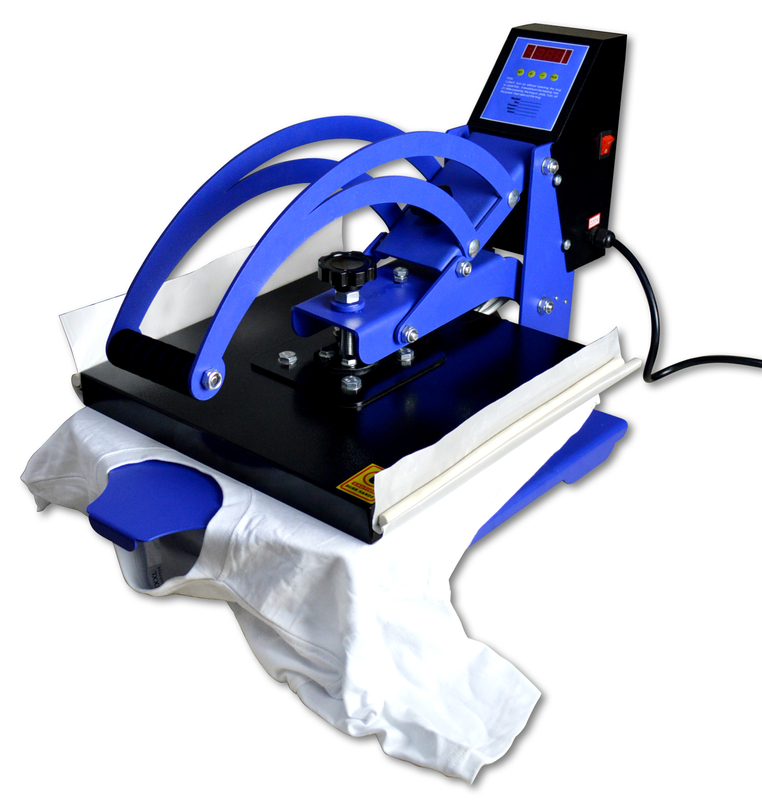 Heat press the sublimated, dissolve ink colorful logo and letters on cotton, hemp, chemical fiber, nylon fabric, and it also can be flocking heat press and foaming printing process heat treatment, and the low temperature low pressure line of the clothing and fabric stick together, such as children's clothing, shoes and hats can also can be used ,it also can be used in the production of small batches of wrinkles in a handkerchief, hats and other daily necessities, finalize the design. 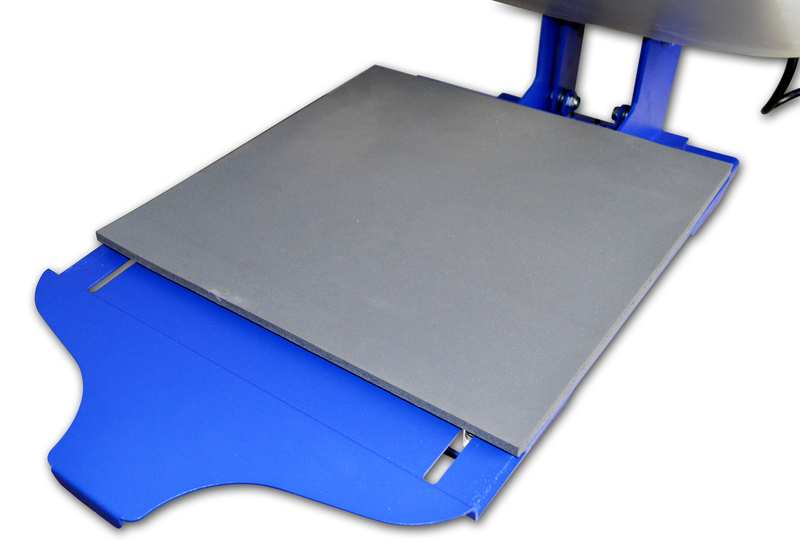 1.The base board of the heat press machine installed with the T-shirt place board ,it's more accurate, faster and convenient to put the T-shirt .The additional board can be adjusted 6cm from back to forth .it could be adjusted according to different size of T-shirt you want to transfer. 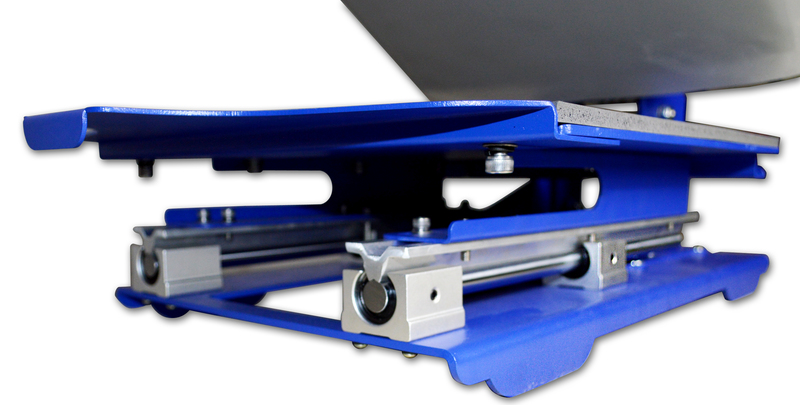 2.The base board was installed the moving chute , it could pull out the base board about 16cm when you put the T-shirt. This invention could help you put the shirt more accurate and avoid Burns. 3.It's more convenient and faster to replace the Teflon sheet .On both sides of the upper plate is equipped with Teflon fixed slot, you just have to put the silicone bar into the groove on both sides when replace the teflon sheet. 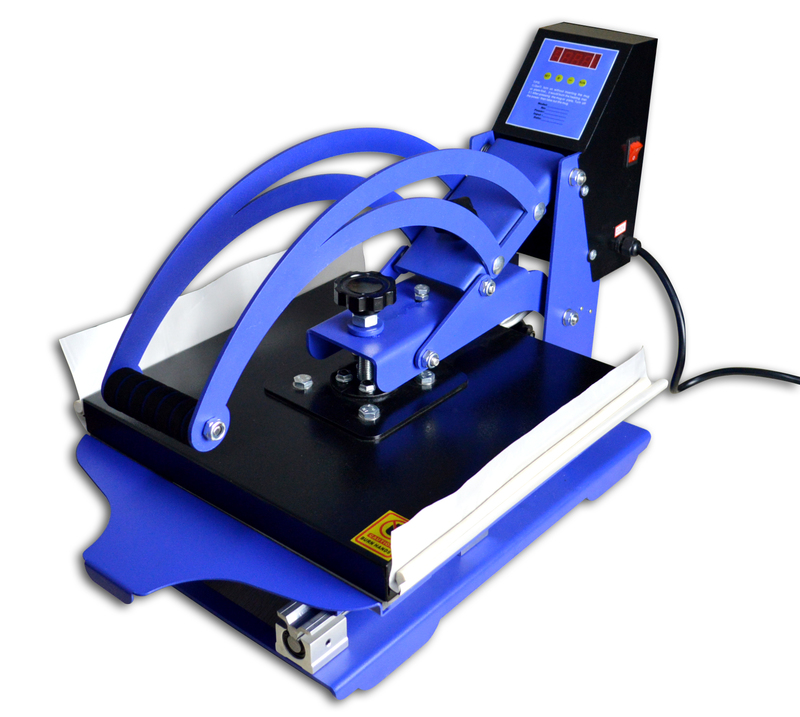 4.Special intelligent heating function (the function is my company's exclusive technology) : for 38 * 38 cm heat press machine (especially for 40 cm * 60 cm heat press machine), the power of heating plate is generally in the 1700-2500W, electric current is 8a-12a, general family, temporary place or many public places the wire is too thin ,electric current or inadequate power is not enough, they can cause the machine trip in a short time when power consumption , fire insurance, security problem such as the power cord is overheating. The special intelligent heating function is specially designed for this problem, and it can effectively solve the above problems. This is an important distinction between our machines and other machines. 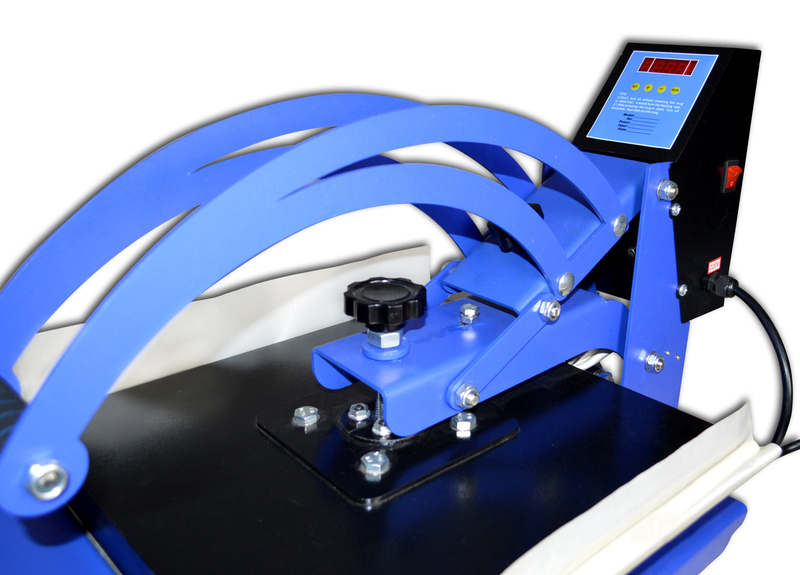 5.It is more intelligent, all-round functional and easier to operate. All functions are set by adjusting four buttons according to the manual. 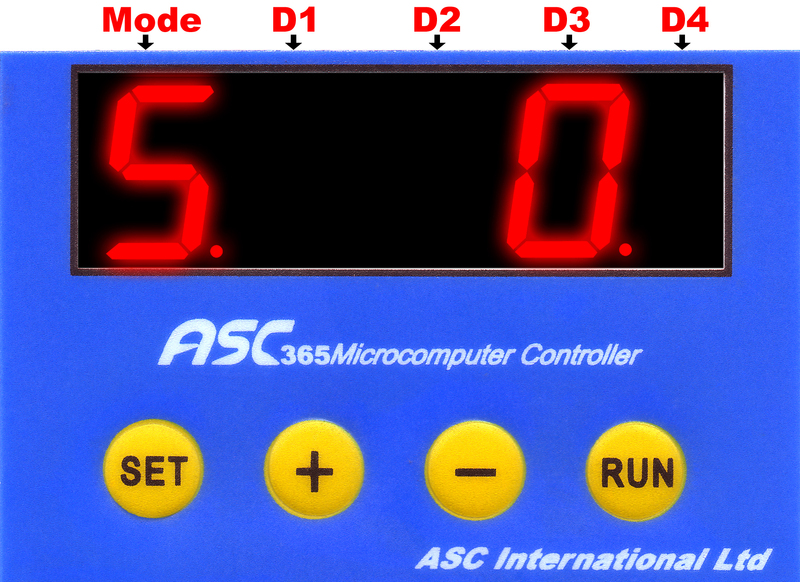 The parameters will be automatically remembered and will not be changed due to power off. 6.This machine is equipped with multifunctional meter and high quality solid state relay control switch, special heat sink and fan, they can ensure the machine run for a long time, solve the problems of traditional relay switch voice is big, service life is short. 7.The Celsius and Fahrenheit temperature can be converted automatically: it can be applied to countries and regions with different temperature patterns. 1.Set the temp indication, temp, heating time and heating way. 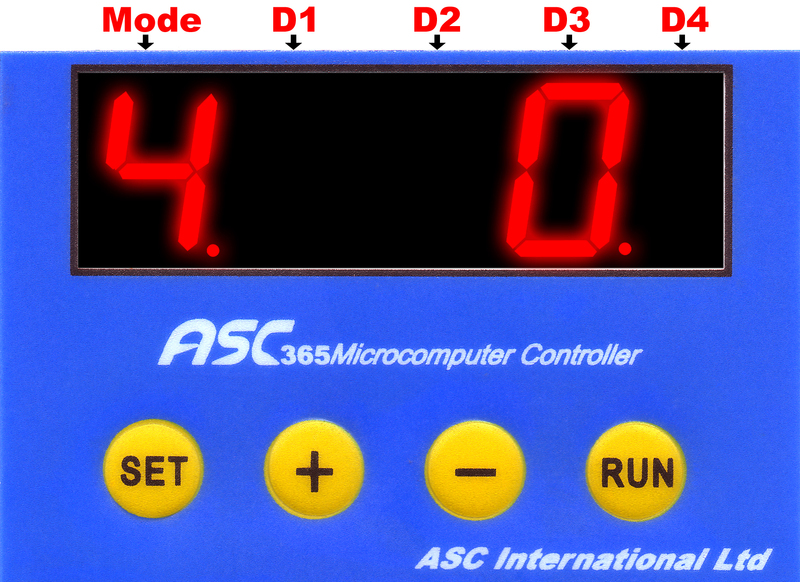 Press “+” and “-” keys alternatively, “Mode” still indicates “1”; and “D4” indicates “℉” and “℃” alternatively. Tip：Please be aware that different districts use different standard. Below is unit conversion chart between centigrade and Fahrenheit. 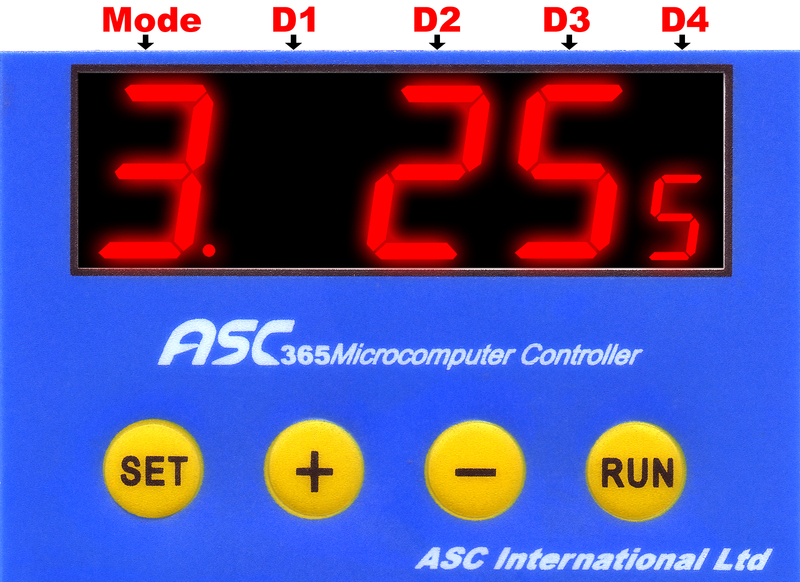 Press “SET” key, “Mode” indicates “2”, “D1, D2, D3” indicates the assessed temp and “D4” indicates the assessed number at the first step. Press “+” key To increase the temp and press “-” key to reduce it. Set the suitable temp according to the different T-shirt transfer paper. 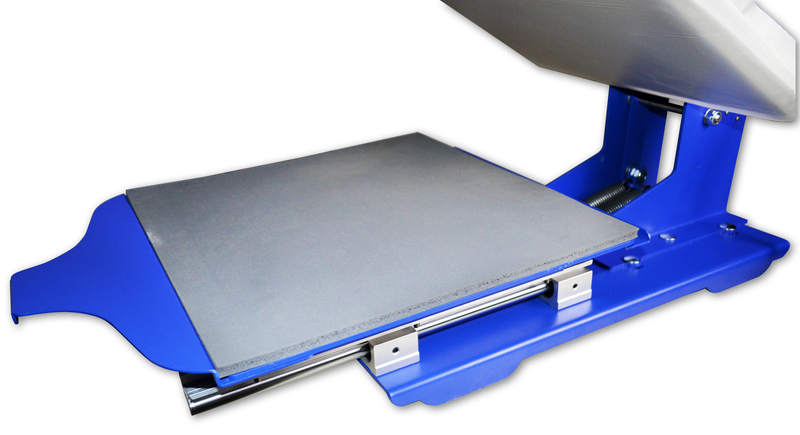 The highest heating temp of ASC black T-shirt transfer paper is 165℃ or 329℉. 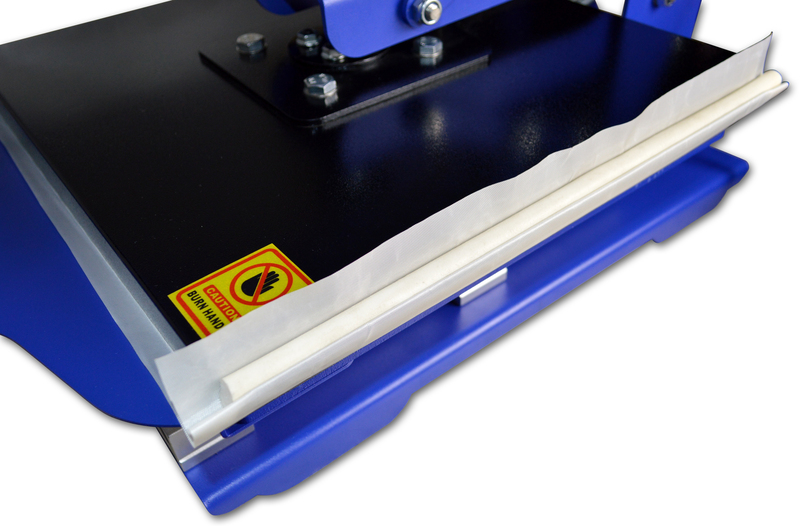 The highest heating temp of ASC light T-shirt transfer paper is 185℃ or 365℉. Press “+” key to increase the heating time and press “-” to reduce it. Tip: Set the suitable heating time according to the different T-shirt transfer paper. 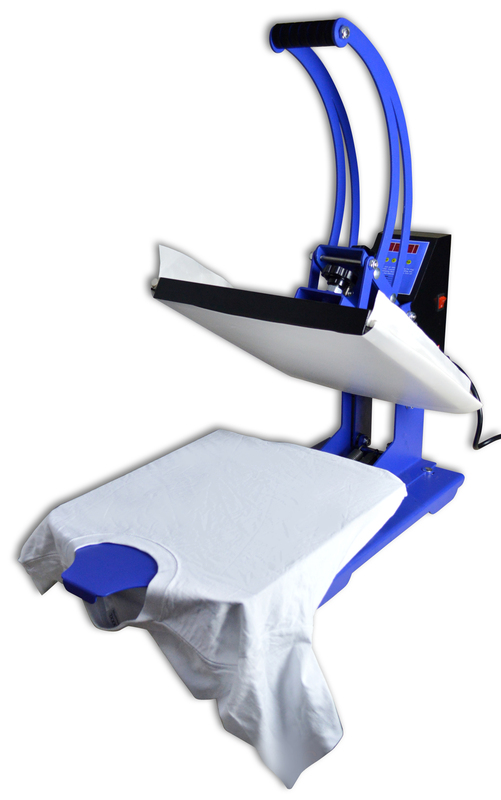 The highest heating time of ASC black T-shirt transfer paper is 25s. （This function is specially developed by our company：It is mainly used for the heating system with high power heating plate. And it can solve the damage on the circuit caused by over power consumption in short time, such as trip, fuse blown and over-hot power line. 3.After checking and confirming no error, press “RUN” key, and the machine enters into the assessed working process. 1）In the process of preheating, don’t put the handle down unless the temperature has reached the setting degree. 2）MODE indicates“O”，which means the power is on. 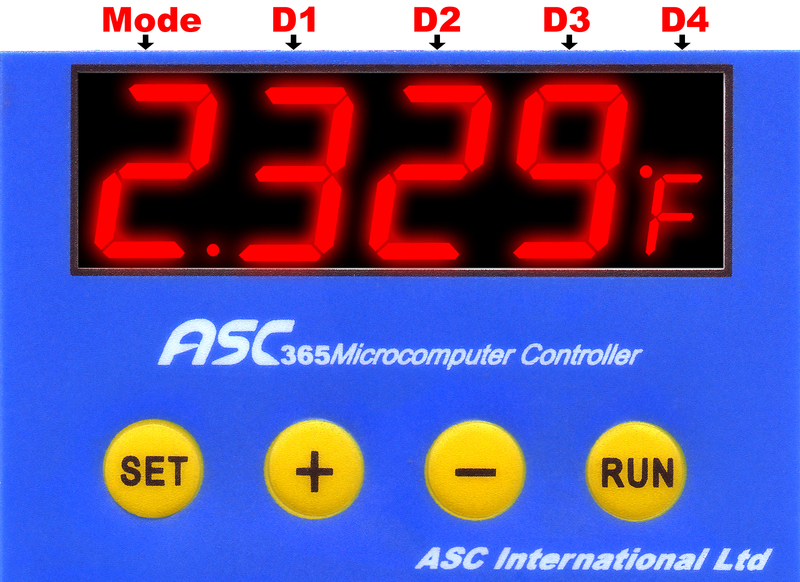 3）The heating plate begins to heat from indoor temp, the meter indicates temp; and the temp is rising.? 4）When the temp of heating plate reaches the assessed temp（165℃ or 392℉）, MODE indicates? alternative indication of “F” and “O” , which means the power is on and off alternatively at assessed highest temp. 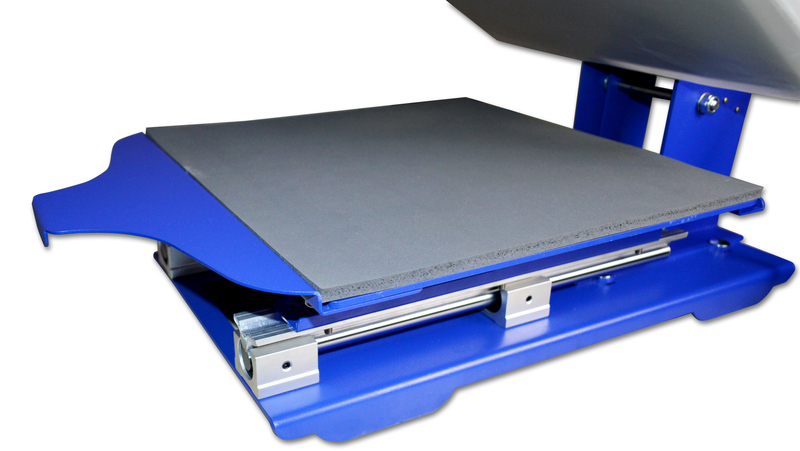 5）Place the printing stock on the board and the transfer paper on a proper place. Then put Teflon paper on the top. 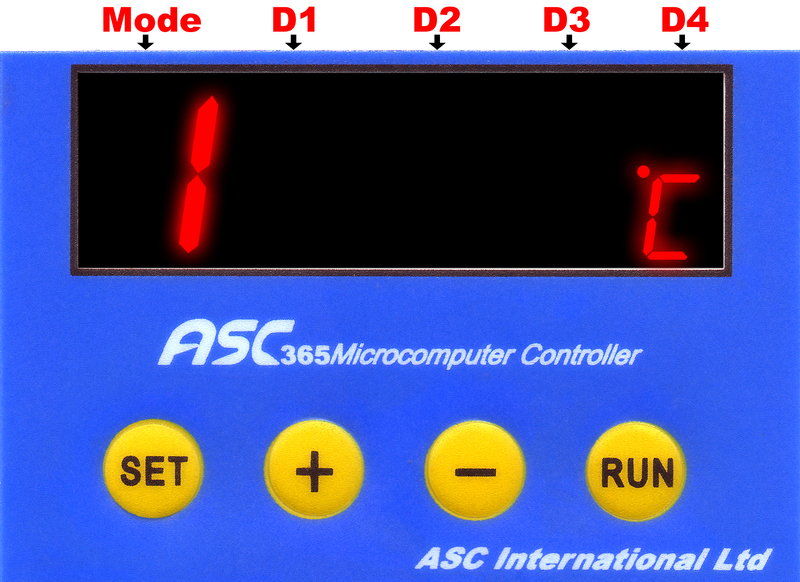 6）Press the handle down and the timer will start to count. 4，Get printing stock out and a complete image will be on the printing stock. 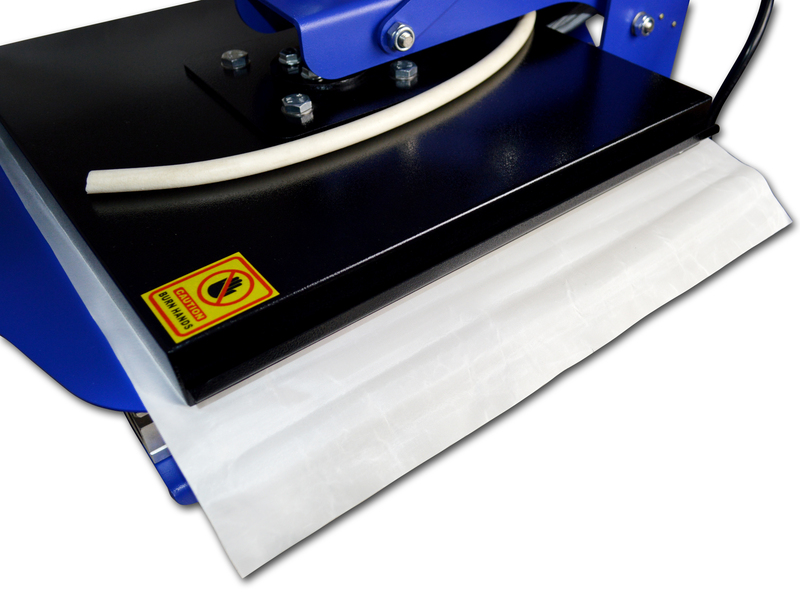 There’re two ways to remove base paper—“Hot-split” and “cool-peel”. Master the right time and temperature due to different materials. 2）On rare occasions, when the temp close to the highest assessed temp, during the MODE indicates power on “O” and off “F” alternatively, when it is “F”, the temp will be 4-6℃ higher than that when it is “O”. 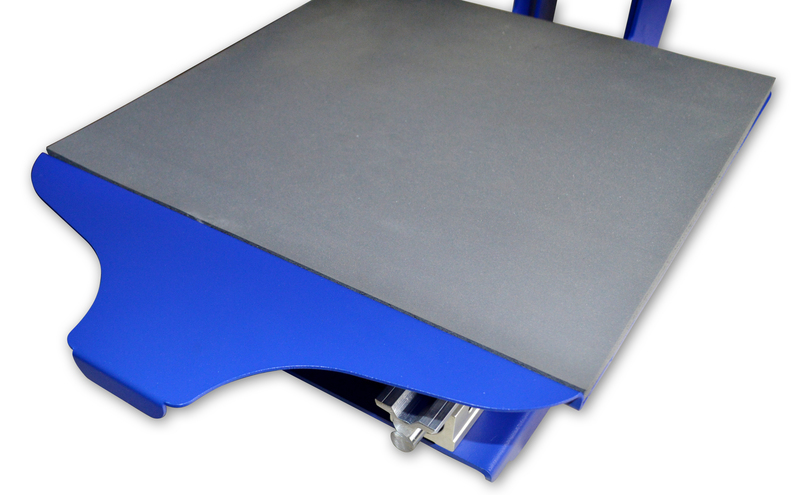 This is because that the power of heating plate is larger, and the voltage is reduced, which is normal. The temp of heating plate under “F” situation is standard.